Sky will continue to sponsor British Cycling through until the end of 2016. Financial details of the arrangement have not been released. The partnership between British Cycling and Sky has been a key factor in cycling’s recent success story, said Ian Drake, British Cycling’s chief executive. He added: “The unique nature of our partnership with Sky has been a key factor in cycling’s phenomenal success story, perfectly complementing the support we receive from UK Sport and Sport England. 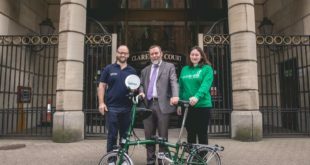 As part of its support for encouraging more people to cycle, within its own business Sky is encouraging more of its staff to cycle through a variety of cycling events and facilities including a cycling club, buddy system, bike hire and an on-site cycle shop and mechanic. 30 percent of Sky employees cycle regularly.